Data loss can often occur due to accidental deletions, formatting errors, virus attacks, improper operations, unexpected power failure, and various other causes. This leaves you in a state of panic and confusion, especially if you have lost critical data. Your business or personal operations will be affected or put at risk, and you surely need to recover that data. Don’t panic; I got you covered! At Brisbane IT Guru, I provide you with the best data recovery services in Brisbane, Australia for business and personal computer users. I am a highly-trained IT data recovery expert, who works with the interest of my clients at the forefront. I know that you can’t afford to lose your crucial business data, and that’s why I am dedicated to offering you the best data recovery services Brisbane while making every effort to get you and your business back up and running. While my Brisbane data recovery services cover restoration of your important documents, photos, music and other valuable data, I also offer advanced recovery services for hardware and software. I can retrieve lost or corrupt system data and restore your entire PC (Windows or MAC) OS, programs and everything else including settings and files. Once I have recovered your data, I back it up and then copy it to your media of choice for delivery purposes. I value your privacy, and therefore your data is not exposed in any way. Once delivered and confirmed, I then erase the data from interim media. 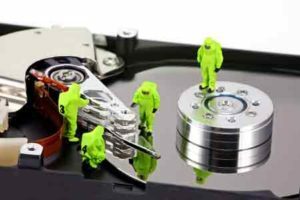 I have a comprehensive pricing for data recovery which includes a free professional diagnostic evaluation for the particular media, and then a friendly price quote that puts you into consideration. I collect and safely return your media with no shipping charge as well as embrace a “No data- No charge” commitment. I am a safe bet for all your data recovery needs, and I guarantee satisfaction that exceeds your expectations. Let me take you from a state of devastation and panic to a state of delight!